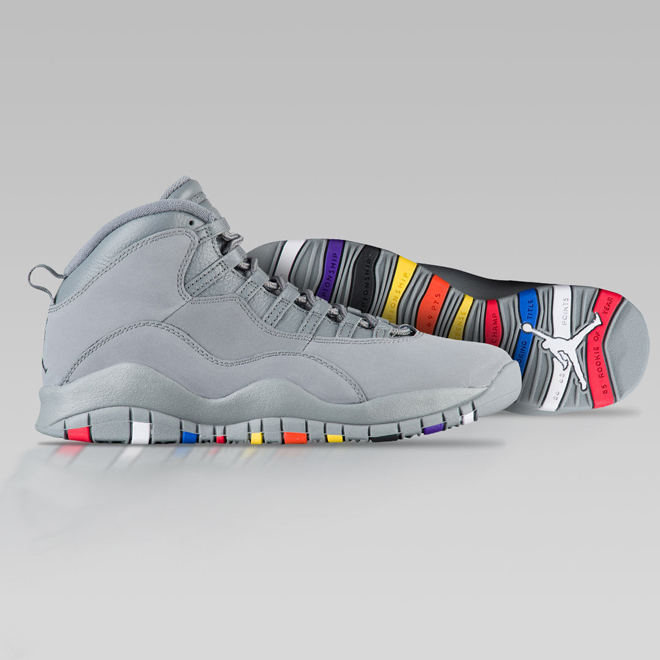 Back in 2014, Jordan dropped a cool grey colorway of their Retro 10s that became a favorite of sneakerheads everywhere. That cool grey theme is back this weekend, but with a fresh update. This time around, the upper features no black, as the grey color continues across the tongue, lining, laces, and midsole. The coolest touch is definitely the multi-color outsole though — each line across the bottom calls out a specific career highlight during MJ’s extraordinary career. Lace up in your own pair and you’ll truly be taking history with you everywhere you go. Men’s $190.00. When the Nike NBA ‘City’ Jerseys were announced last month, the bold designs and meticulous attention to detail turned heads. Each team’s jersey celebrated the local culture, traditions, and style that make up the area’s identity. The unique looks have now made their way onto some of Nike’s top signature shoes with these special LeBron 15s, KD Xs, Kobe A.D.s, and Kyrie 4s. The LeBron 15 ‘Guardians’ and Kobe A.D. ‘Black Mamba’ colorways honor the iconic emblems of Cleveland and Los Angeles, respectively, while the KD X ‘Prosperity’ model is inspired by the Bay Area’s legendary Chinatown district. 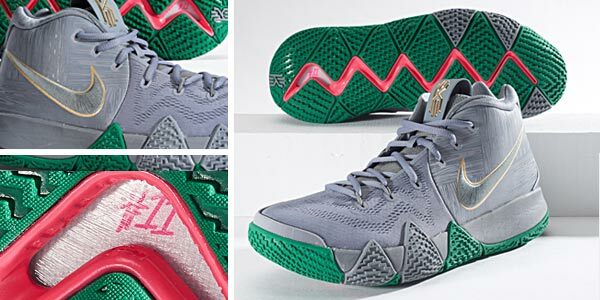 The Kyrie 4 ‘Parquet’ kicks mesh perfectly with Boston’s new Nike ‘City’ unis. Rep your favorite player and the city that they put on their shoulders. Men’s LeBron 15s $184.99. Boys’ LeBron 15s $160.00. Men’s KD X $149.99. Boys’ KD X $124.99. Men’s Kobe A.D. $149.99. Men’s Kyrie 4 $120.00. Classic Air Max Plus upper meets modern Vapormax cushioning. The new Nike Air Vapormax Plus gives you the best of both past and present for a look that can’t be beat. 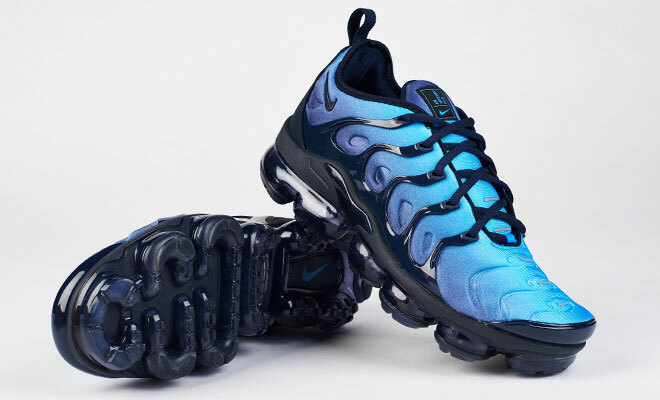 The neoprene base upper with TPU overlays is clearly influenced by the classic Air Max Plus and has a tried-and-true, distraction-less fit and feel, while that revolutionary VaporMax sole unit ensures that you get ideal comfort and energy return during every step. We’ve got these red-hot sneakers dropping in four great colors this Thursday. Men’s $190.00. Women’s $190.00.